Robin Rotman works primarily in the area of energy infrastructure project development. She represents developers, investors, owners, and operators of electric generation and transmission projects, particularly renewable energy projects (hydro, solar, wind, and geothermal). Robin has experience structuring transactions, negotiating project agreements and documentation, and representing clients in related regulatory and permitting matters. Robin is also involved in international matters focusing on the development and implementation of emerging market commercial and regulatory structures to promote investment in the energy sector. Robin counsels Native American Tribes and Alaska Native Corporations on energy, natural resources, and economic development projects, including representing the first tribes to own and operate a major hydropower project. In addition, Robin advises clients on regulatory matters related to the transportation of energy products and hazardous materials in North America, particularly crude-by-rail. 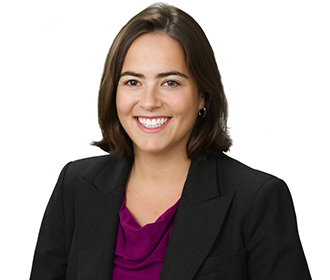 Prior to joining the firm, Robin was an associate in the D.C. office of a New York-based law firm, where she focused on corporate finance and project finance. Robin serves as an Adjunct Professor at Georgetown University's Walsh School of Foreign Service, teaching a course on Environ Law, Tech, & Justice. Robin is also active in pro bono work through the Senate Roundtable on Trauma in Native Communities and the Children’s Law Center’s special education program. Robin is proficient in Spanish. Assists a $1 billion+ federal public-private partnership that is developing a commercial-scale carbon capture and storage coal-fired plant. Negotiates power sales agreements (WSPP, EEI, and ISDA) on behalf of the first Native American tribes to own and operate a major hydropower project. Represents a leading solar systems provider on procurement and power sales contracts. Provides the Confederated Salish and Kootenai Tribes licensing and compliance counsel for the 190 MW Kerr hydroelectric project. Represents independent power producers in Federal Energy Regulatory Commission proceedings (e.g., market-based rate authority, cost recovery, interconnection issues, and settlement judge proceedings). Counsels offerors and carriers of energy products and hazardous materials and provides representation before the Pipeline and Hazardous Materials Safety Administration and the Federal Railroad Administration. Advises the community development fund of an Alaska Native Corporation that is establishing a revolving microloan program for environmentally-sustainable businesses. Moderator, "Taming the Beast - Reducing Risk in Hazardous Materials Shipment"
Presenter, "Modal Updates: Contributing Editors of the Association Highlights newsletter - HazMat Update"
Speaker, "Energy-Water Nexus - Issues Facing Public Power in the Future"
Presenter, "EPA’s Clean Power Plan: Implications and Opportunities for the Geothermal Industry"